You’ve finished University, you’ve gotten married, you’ve bought that home..you’ve had a baby.. that baby is now growing up and has officially moved into the toddler stage.. you don’t know where the time has gone, but you do know it has pushed her along to achieve each milestone. It didn’t wait for her to decide to grow up, it simply kept ticking and with it it bringing a new sense of family and love and discovery..
Last week, in the same day, I cried with a friend who had recently experienced a miscarriage and then hugged and cried with friends at the news that they were pregnant.. Only a few days after this encounter did it occur to me how interesting life can be. It’s amazing how broken you can feel in a moment, when even words escape you and then experience such unadulterated joy. Joy for the sense of what your community of friends and family are gaining through this new addition, a joy because you know the amazing happiness that comes with the addition of a little feet and laughs, a joy for the couple who whether planned or a complete surprise are adding to their lives. Through personality tests it’s been determined that I am very gold in nature. I thrive on lists and goals, I expect order and continually do everything in my power to try and maintain consistency and reliability.. so without a project or something to “do” I flounder around like a fish out of water.. good analogy huh? We recently re-did the playroom which was a great project to occupy my time and thoughts but now here I am.. floundering. Has anyone ever experienced this feeling? Maybe you’re experiencing it now? 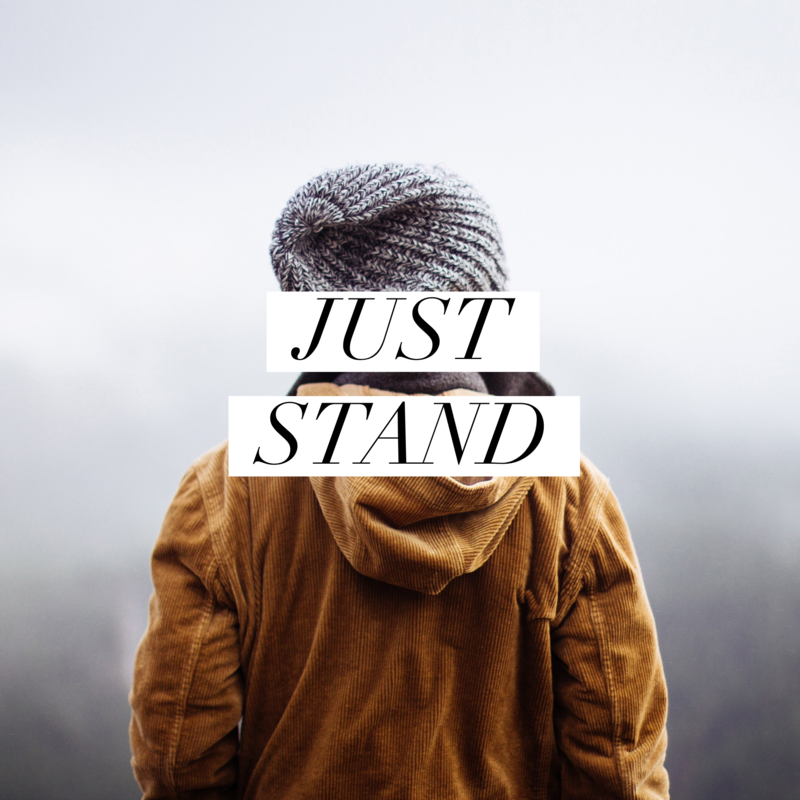 The Bible says that “after you have done all”…“to stand.” Stand! That sounds like a nightmare but obviously it doesn’t mean to literally stand still..I think it means to be content. To look at your life, assess the blessings that flow abundantly and be grateful. Contentment.. do we even know what that means in this generation? Do we ever stop to enjoy what we have or who we have or do we long for more or bigger and better? I saw a quote on Pinterest a while back it said “if you only have today what you were grateful for yesterday how much would you have?” What a confronting thought! I challenge everyone to take a few minutes today to consider how blessed we really are. Consider the freedoms we take for granted, the meals we pay for frivolously. Consider the family you’re able to hug and love, think of the friends who have become family, or the children who light up your day. For those of us who work outside of the home- cherish the opportunity that you have to earn money. I’m thankful I live in a country where I have the religious freedom to go to church and actively pursue a relationship with Jesus.. something we take for granted that many in oppressed nations would dream of. So, what now you may ask? Just stand..